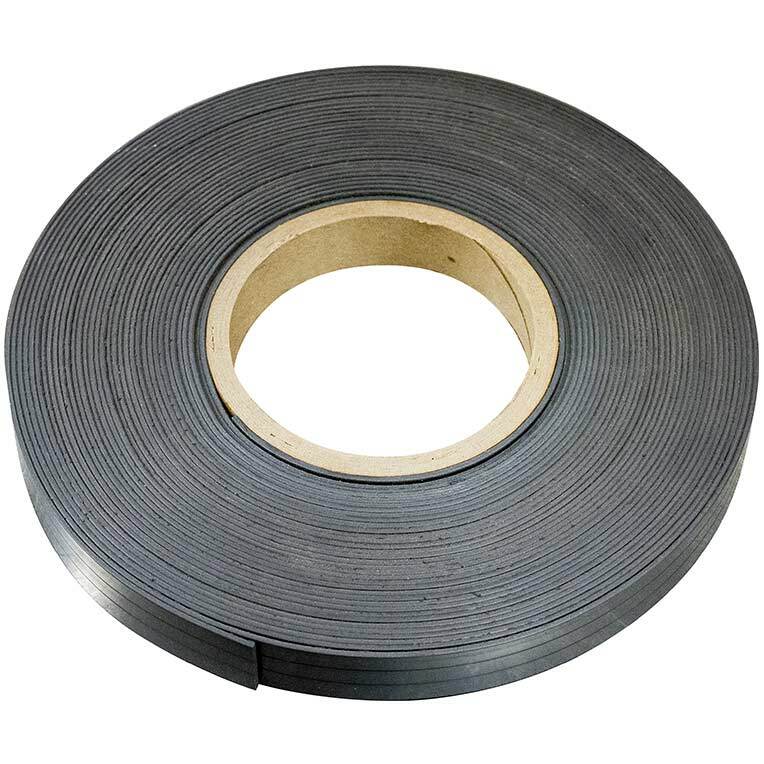 Flexible magnetic strips are made of a Ferro Magnetic powder mixed with a polymer bonding. 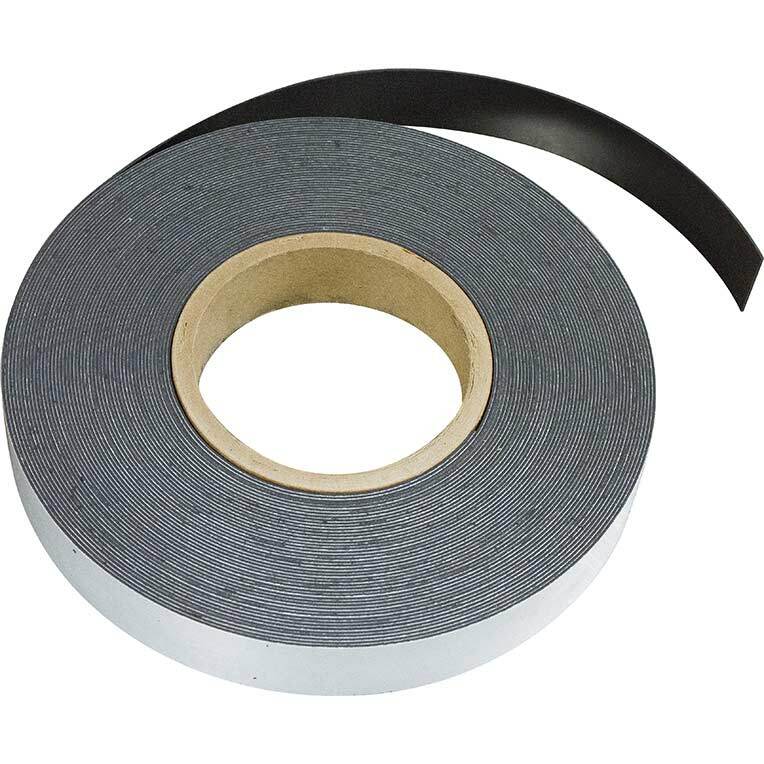 These high energy strips resist demagnetization and will not chip, crack or shatter. Mag-Mate's flexible magnetic rubber is magnetized with two or more poles along the length of the face, creating concentrated strength on the face of the magnet. Flexible Magnets are great for signage and labeling steel shelves, drawers, file cabinets, magnetic white boards, doors, trays, machinery, etc. Use our adhesive backed magnetic strips to stick to your existing paper, cardboard, wood, plastic or metal label or sign and turn them into a magnetic version which will stick to any steel surface. If you already have adhesive labels of your own, our plain back version will suffice.